We wish you a warm caffeinated Christmas and a very happy shooter year! There is no reason to complain about the cold, not even when temperatures drop below 70, well not with these delicious treats. The festive season is all about alleviating the stress, enjoying the best coffee and overindulging on eggnog. Before we even get started on the speciality coffees, we thought it might be best to share with you the ultimate eggnog recipe as nothing could be better than that made by Jamie Olivier. If it is the first time you are preparing home-made eggnog, rest assured as you are about to seriously impress your friends and family. The ultimate recipe is perfect for serving eight, but a word of warning – you might want to double up from the start! Double or heavy cream, whole milk, cinnamon sticks, vanilla bean pod, eggs, bourbon or Bacardi Dark Rum and granulated sugar. Combine the following in a saucepan and bring to boil over medium heat: milk, cinnamon, cream, vanilla bean, nutmeg and vanilla seeds. In a stand mixer or large bowl, beat the sugar and egg yolks until combined and when the whisk is lifted thick ribbons form. Then, slowly whisk in the milk and continue until the mixture is smooth. Add the Bacardi Dark Rum or the Bourbon to the mix and stir. Refrigerate for up to 3 days or overnight. 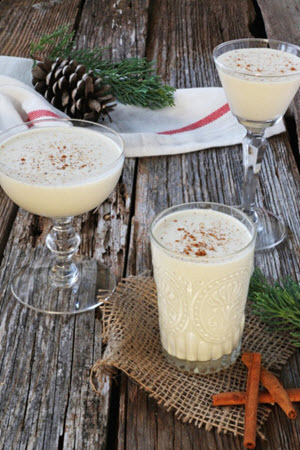 Eggnog can be served in any glass, it all depends on you, although it does look best in a dessert glass. Prior to serving you need to add the egg whites into a bowl and beat it until it forms soft peaks. Then you can gently fold it into the eggnog until all combined. Serve it the eggnog garnished with freshly grated nutmeg. 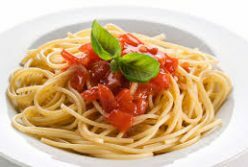 Hopefully, you did double up the recipe or made another backup batch as once your guests get a taste of this, they are sure to request more, or maybe you should just serve it in shot glasses from the start. With this easy recipe, you could easily make non-alcoholic eggnog for children and an extra tasty one for adults.